The Route of the Slave. New Route! 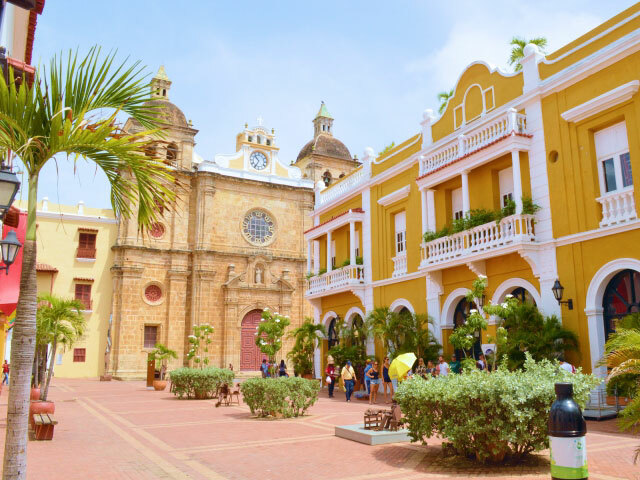 The most complete tour in the old city because in two and a half hours we walk all the squares of the historic center of the city (Centro and San Diego). 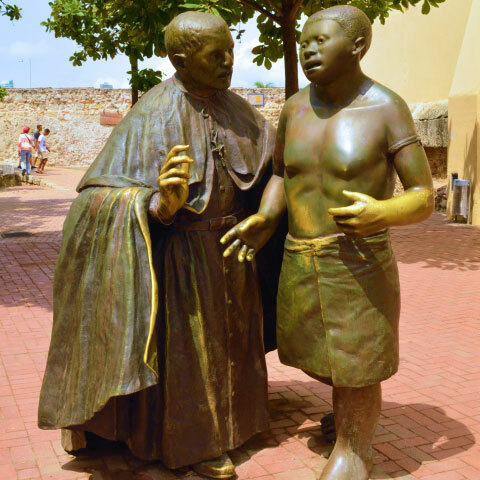 General history of Cartagena in each square and the streets, we walk part of the walls. 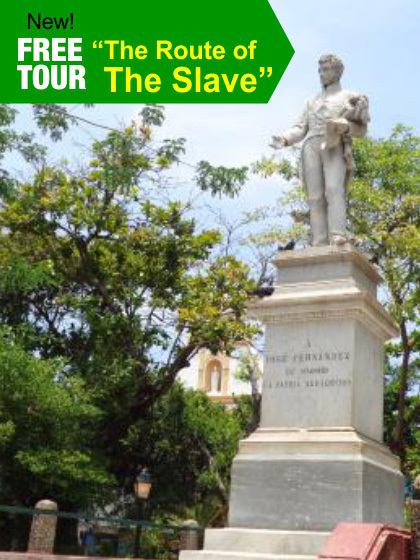 This tour is characterized by emphasizing Slavery in Cartagena during the colonial period. We start at 9:30 a.m from La Plaza Fernández Madrid in the center of San Diego neighborhood. Bazurto Food Tour. New Route! 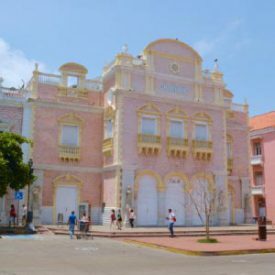 The Bazurto market is a traditional market offering fish, meat, fruit, clothing and is as important in Cartagena as The Old City or The little Miami (Bocagrande). It is a very traditional market, barely visited by tourists. 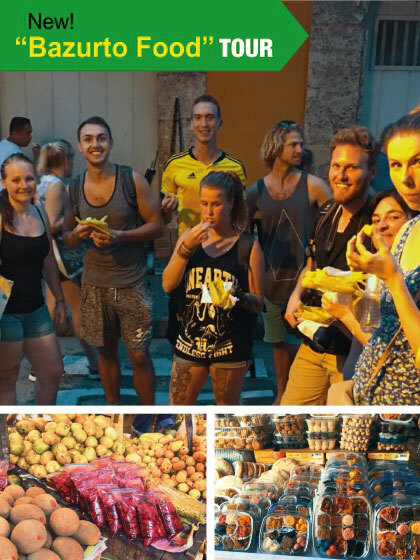 We will walk through a maze of alleys, where the tour guide will in-troduce you to all kinds of fruit, vegetables, fish, seafood and meat. We will try a few different fruits and enjoy a delicious and typical Lunch. 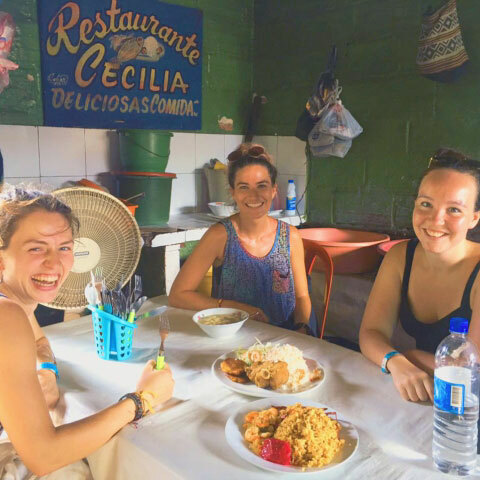 At the end of our Visit of the Bazurto Market, You will enjoy a cold Costeñita Beer in a popular bar. Every Monday, Wednesday and Saturday from 9:30 a.m to 12:30 p.m. ¡Important! : See recommendations for this tour here. 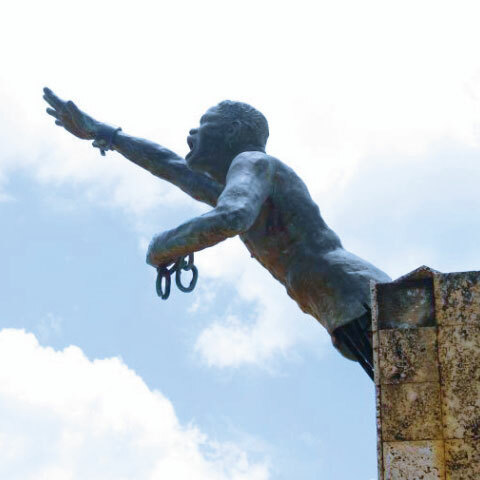 Come and meet with us the first FREE territory of slavery in America. 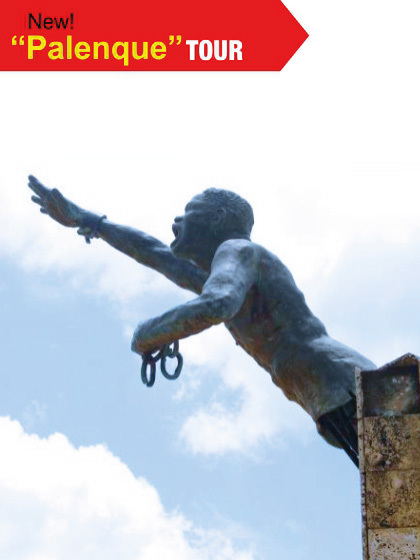 Just 48.5 k from Cartagena is “SAN BASILIO DE PALENQUE” the first territory free of slavery in America. Know your culture, music, language, cuisine and its people.Walk through its dusty street, detained in time and interact with its people, Intangible Heritage of Humanity. 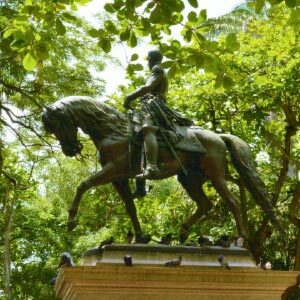 Get to know at first hand the legacy of “Domingo Benkos Bihojo”, his temperance, courage and courage to carry out his dream of FREEDOM for those who since almost the discovery of America were removed from their territories and enslaved in other lands. We offer walking tours and excursions in and around Cartagena, our guides speak English and Spanish. 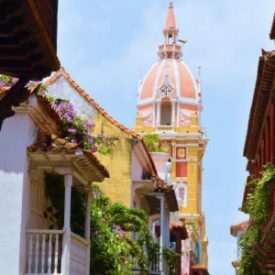 The guides are motivated by their passion for Cartagena and its historical and cultural treasures, besides the legends narrated that give a unique touch to our tours. We cover the main sights of the walled City. Our goal is to make the visitor spend a good time, which is why we tailor each tour according to the group. 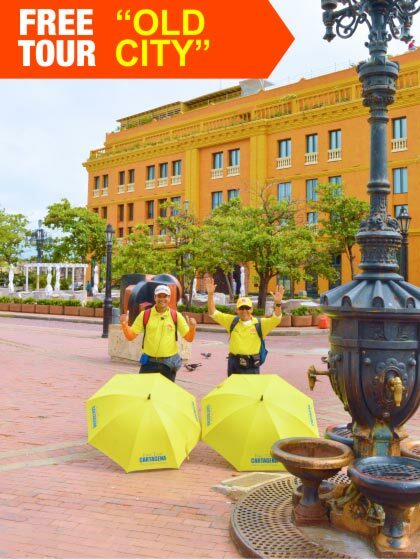 Our local guides with their vast experience and versatility to transport you full of charming colonial Cartagena. Walking tours of the most representative sites of Cartagena. Schedule: Monday, Wednesday and Saturday from 9:30 a.m to 12:30 p.m.
* On Mondays holidays in Colombia, this tour will be closed. ¡Importante! : See recommendations for this tour here. Schedule: 9:00 a.m a 12:30 p.m. Include: Transportation with A / C, Specialized guide, Bottle of bottle, Flolklorico show (Mapale, Pavita and others). The exploitation and sexual abuse of minors is sanctioned with a penalty of privation of liberty in accordance with the law 679 from 2001 in the Colombian penal code.